What struck me most about this book is the author’s sense of history and his knowledge of literature. His assessment of the post-World War Two era as post-colonial may hardly be novel; or even new. But his treatment of the subject allows a deeper understanding of just what has happened in the world since then. His assertion that the post-colonial era engendered many; if not all; of the world’s conflicts since then is borne out by contemporary history itself. And Mr. Greenway was on the front lines for much of it. 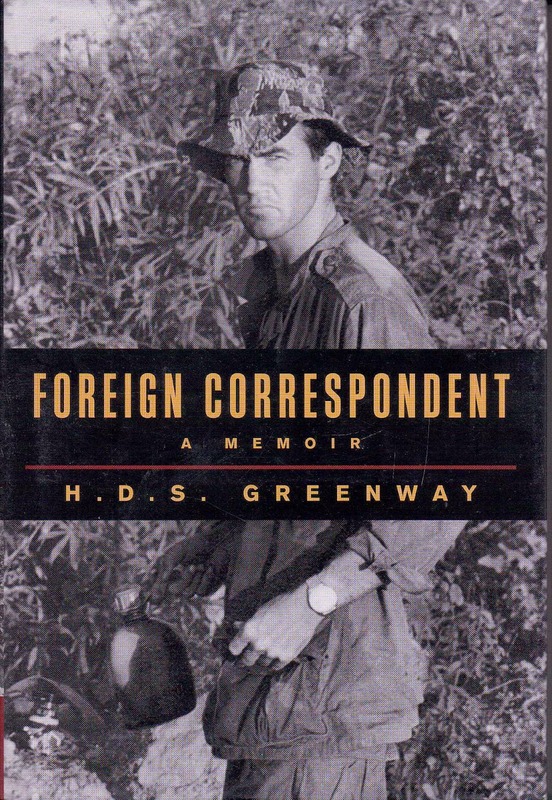 In this age of Brian Williams, Peter Jennings and Glenn Beck; as well as all the rest of the “pretenders”; what a joy it was to read this book by a real correspondent and veteran of 50 years of reporting from some of the hottest spots on the planet. This is one guy you never saw playing “anchorman” while the film rolled on the screen in a studio. Greenway was busy; he was there. His accounting of Vietnam is not the usual assortment of stories and anecdotes we have come to expect. To be sure, there are plenty of great stories here; but they are told within the context of a larger history, making this book all the more unusual. His time with Sean Flynn; the irrepressible son of the actor Errol Flynn; are a particular treat. Although his exploits have been covered by other authors, Mr. Greenway’s friendship with Mr. Flynn comes across as particularly close. His political grasp of Vietnam from the earliest of days after the Japanese surrender until the last helo out in 1975 could fill volumes; yet he is able to condense it all into a highly readable chapter which brings a familiarity to the reader concerning the leading names of the war. He explains the treaties, the elections and even the failures in a way which will re-inforce your own knowledge, yet also allow you to take that knowledge one step further in the puzzle which was Vietnam. The chapters dealing with Cambodia and Prince Sihanouk will explain just how that unfortunate and beautiful country was dragged into the periphery of the war. He also explains just how the interim leadership of Lon Nol gave way to Pol Pot and the rise of the brutal Khmer Rouge, who slaughtered almost 2 million of their own countrymen before order was finally restored. The attitude of the United States then; after the failed war which gave birth to that tragedy; stands as an analogy to the United States today, in regards to ISIS in the aftermath of our blundering in Iraq. History never dies; it just repeats itself, hoping we will learn something. It is likewise with the section of this book dealing with Israel. You will come away scratching your head at some of the misconceptions about the Mideast which have all but become prevailing wisdom; true or not. The 1973 War (Yom Kippur) was not just another blunder by Egypt. It was a face saving move that was necessary before Egypt could begin to modify its stance regarding peace with Israel. And, once again; the history of the area is at the center of this whole narrative. The author’s love of history and literature shines through each page, making the book highly readable. His chapters on Indonesia, India: and especially Pakistan; should be required reading for serious students of today’s volatile political climate, as these stories are the story of decolonization and the ruin in which the colonial powers left their former charges; who then turned to the Communists for help in certain places. Reading these portions of the book you can actually understand how we lost much of the goodwill engendered by our victory in World War Two in a senseless race with the Soviets to prepare for a war which never came. This is also the story of how Mr. Greenway managed to move his family around the world with him for most of his career. There were times the family stayed in Hong Kong while he covered the War in Vietnam. And, for other times, and other stories, there were other homes. In each of these places he manages not only to take some time with his wife and children to absorb the local cultures where they live; he also takes the time to Impart to the reader as much of the history as he can to help in the understanding of the time and place in which the events take place. There is richness to this book which cannot be adequately described in a review. There is history and literature on each page, just waiting for someone to open the cover. When you do, you will be stepping into the author’s world. From Vietnam all the way through to Afghanistan, he has covered it all. This is the best world journey you will ever embark upon from your favorite armchair.